Online reservation quick and easy! To reserve the kitesurfles we ask you to fill out the form. You can specify the desired date itself. We’re going to make a memorable kitesurfing lessons from! We give 7 days a week, depending on weather conditions. All day courses start at 10:00 am on weekends and weekdays at 11:00. In consultation are also classes available outside the standard times. Call us 06-16270725 or send an e-mail to info@kitesurfschoolbest.nl for all other questions. Our kitesurfles based on IKO & KNWV and methods are given in Brielle, Scheveningen, Kijkduin – Sand Engine. Anyone can learn to kitesurf ages. You can go as quietly or as extreme as you want. From fine skim over the water and curves to jumps, tricks or in the sky hung with extreme airtime. The kite surfing has an unprecedented variety! For kitesurfing quickly learn good and safe base, as is true for any sport, very important. It is therefore important that you learn well the base (not only sailing meters), later in an independent and responsible way to kitesurf properly. During the kitesurfing lesson you learn how to build a kite, you learn the laws of the wind and the wind window, the appropriate conditions and location for kite surfing, how you upload a kite, directs, gets on a kiteboard and sailing (water start), which you should and should not do during the different conditions but also the safety of the water and land are discussed. 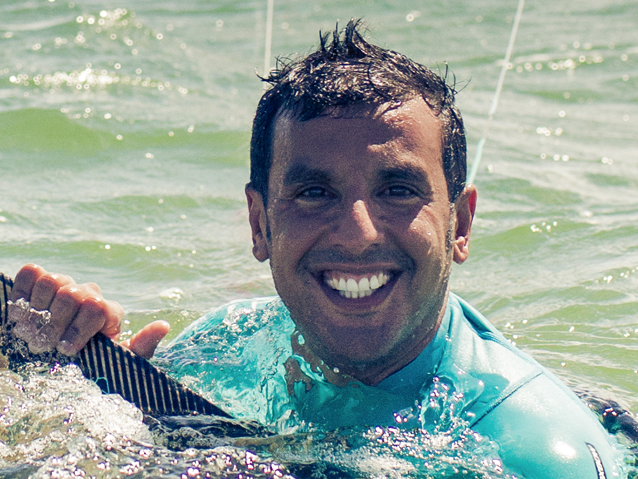 Our kitesurfing school is specialized in the best kite surfing / power kiting and IKO certified. We therefore use the kite surfing lessons the standards established by the IKO (International Kiteboarding Organization). In short, if you have completed your course kitesurfing at our kitesurf school best then you know for 100% what you are doing! Knowing more? Please contact us on 06- 16,270,725 Book online using the form below, you will automatically receive an email with a confirmation of your reservation.